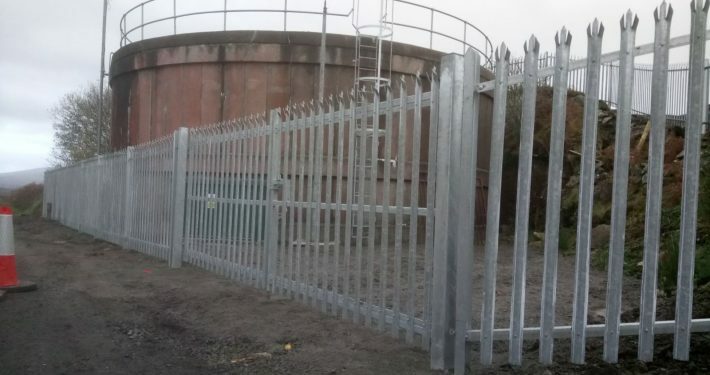 The works were carried out by The Fencing People at a water storage tank in Co Donegal. 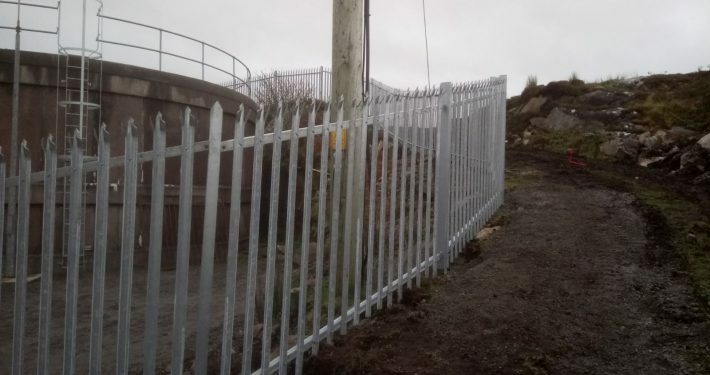 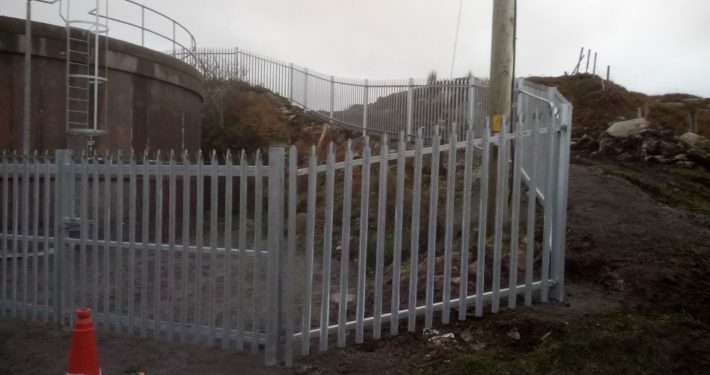 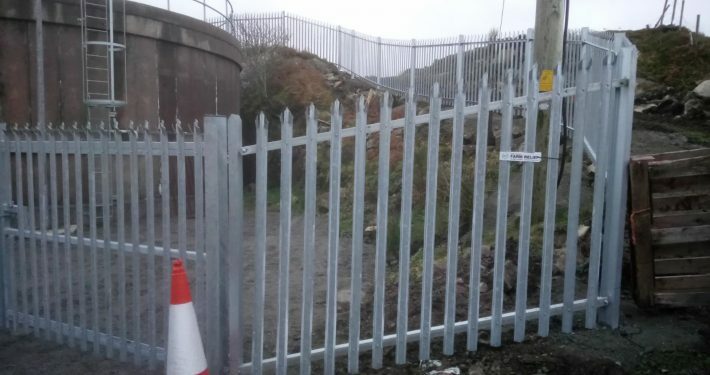 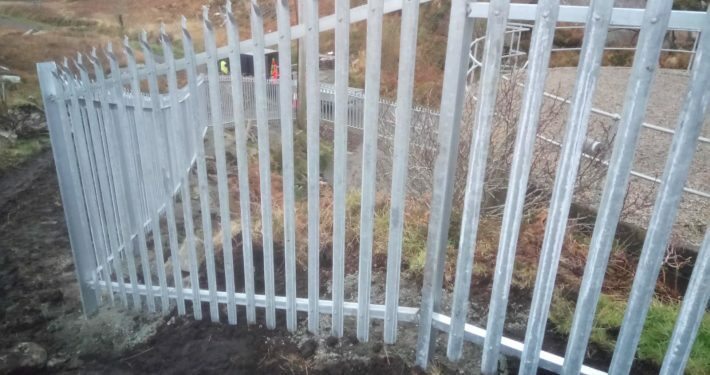 The old chain link fence was no longer fit for purpose and there was a safety concern about the site, after a site meeting it was decided that a high quality steel palisade fence was the best option for this site. 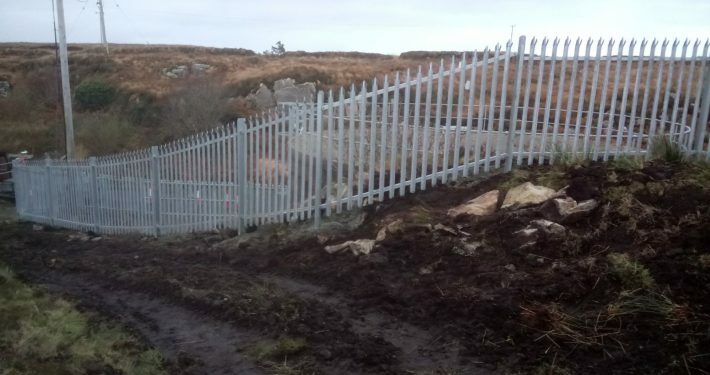 As you can see from the picture above, the fence was on sloped rocky ground and has a gentle curve along one side. 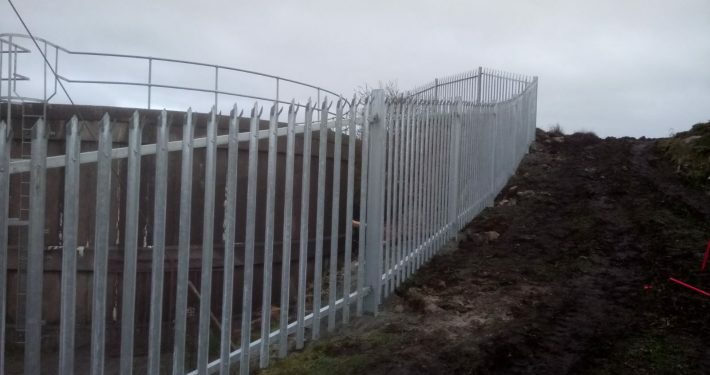 Particular care had to be taken along the rear of the site as there is a steep embankment. 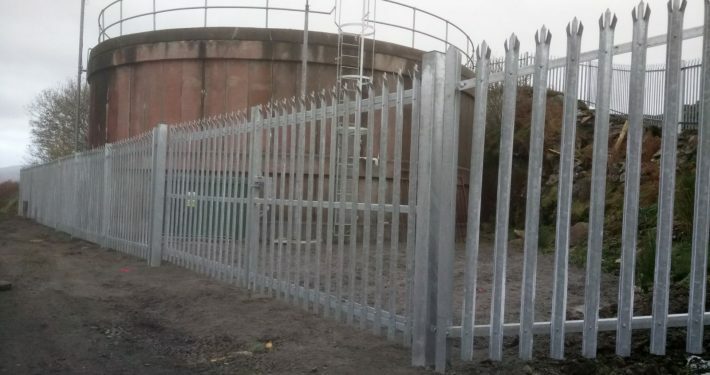 As with all our projects safety is a priority and we were happy to welcome the clients Health and Safety Officer on to the site to carry out a routine safety audit on our systems and practices. 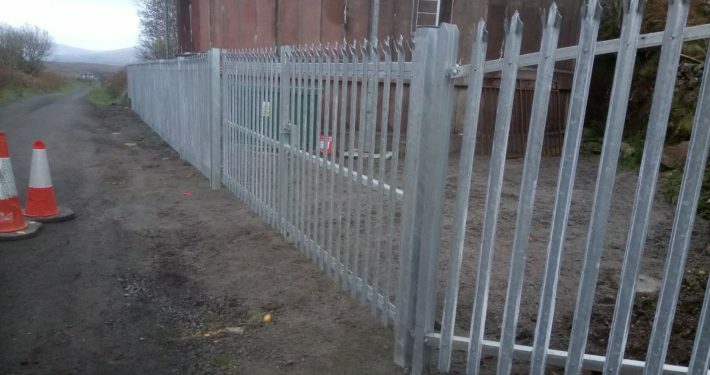 We have a wide range of palisade and gates available to secure what matters to you.